Gouvia, a small former fishing village that has been developed throughout the last four decades into a modern holiday resort. 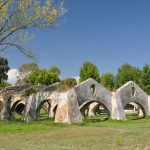 Ideal for couples and families visiting the island of Corfu as it provides an up to date and secure place for vacation. 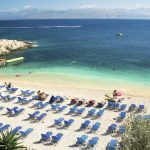 The resort is located 7km north of Corfu town, on the east coast and has been popular since the 70s to people coming from most of the European countries. Gouvia is set on a bay and offers a pebble beach, a marina and large variety of hotels, bars, restaurants and shops. The calmness of the day and the lively atmosphere of the night, both combined with a feeling of coziness are offered to its visitors. The local people are nice, friendly and eager to show to the foreign vacationists the way of the Greek hospitality. 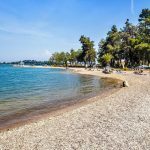 Gouvia is located at only 9 klms from the magical old town of Corfu and at only 10 klms from the most beautiful beaches of the island. 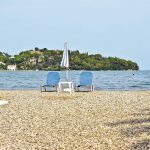 Ideal for couples and families visiting the island of Corfu, it provides an up to date and secure place for vacation. 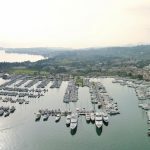 The village of the resort was built on the site of an ancient Venetian harbor and today Gouvia is the main marina of Corfu and welcomes many yachts from all over Europe. At Gouvia there is a good amount of shops, minimarkets, restaurants, bars & tavernas.